The Tweed's natural beauty will be celebrated in the Caldera Art 2017 exhibition at Tweed Regional Gallery & Margaret Olley Art Centre from 22 September - 3 December 2017. The exhibition presents the work of six artists passionate about preserving the rich biodiversity and complex ecosystems within the region's shield volcano. The varied interpretations of Kim Godfrey, Janet Hauser, Heidi Ledwell, Greg Mulheran, Greg Newland and Jennifer Porter all seek to generate positive emotional responses to the fragility of the natural environment and encourage viewers to take an interest in living things found in the water, on the ground, in the canopy, the sky, and their own backyard. The Tweed has some of Australia's most diverse flora, fauna and landscapes. Its unique natural history and cultural resonance prompted Parks Australia and Tourism Australia to declare it one of only 16 'Australian National Landscapes'. The region surrounding the remnant Mount Warning (Wollumbin) shield volcano was named 'Australia's Green Cauldron'. 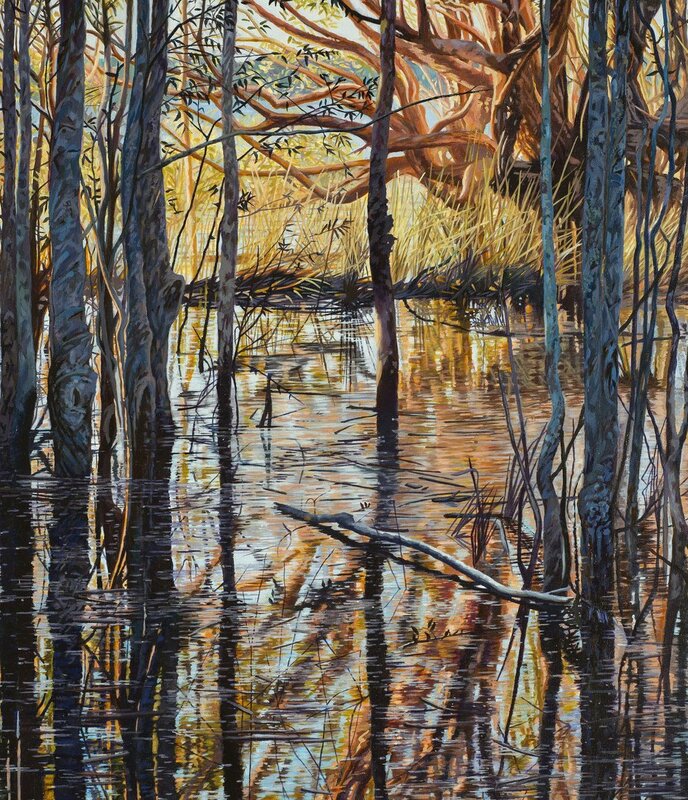 Tweed Regional Gallery Director Susi Muddiman OAM said: "The works in Caldera Art 2017 reflect the artists' passion for preserving the biodiversity and ecosystems under constant threat from human impact. "The man behind this exhibition, Andy Reimanis, has an energy and commitment to conservation and promoting our region that is beyond comparison. Andy is the Director of the small but wonderful Caldera Art Gallery, which until the recent flood was housed in the Murwillumbah Visitors Information Centre in Alma Street." Caldera Regional Art Inc. is a not-for-profit association of artists dedicated to raising public awareness of the significant biodiversity values in Australia's Green Cauldron. Through the exhibition, Caldera Art seeks to generate community awareness, empathy and support for protecting the region's environment, from small backyard ecosystems to the grand rainforests and rivers. Caldera Art has been developed as part of a biodiversity and conservation awareness strategy supported by Council's Natural Resource Management section. All are warmly invited to attend an official opening of Caldera Art 2017 by the Tweed Deputy Mayor, Councillor Chris Cherry, on Friday 29 September at 6pm (for 6.30pm).